Apologies all round for being a bit of a distant blogger/ social media user these last few weeks. First bad wifi in Sri Lanka, then last week I got struck down with God knows what illness, but gosh I was sick. 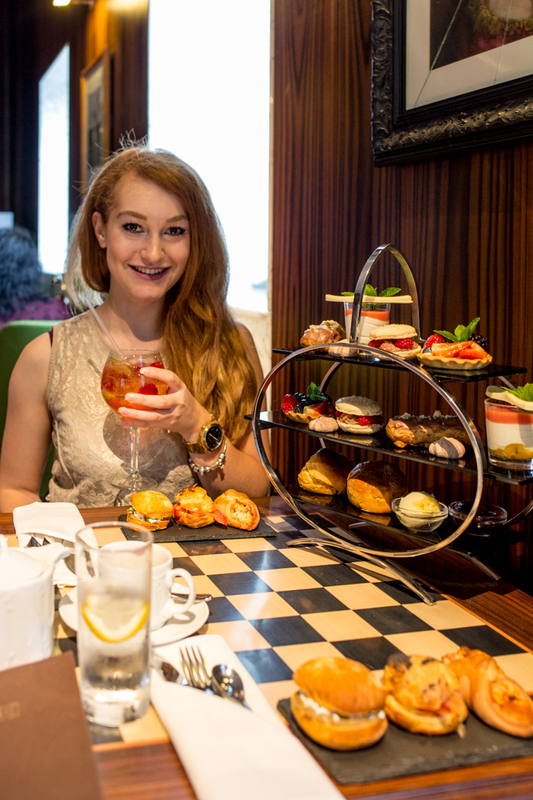 Any who's I'm back on my feet and have a new London afternoon tea recommendation which I think you'll love; St Martins Lane Afternoon Tea. 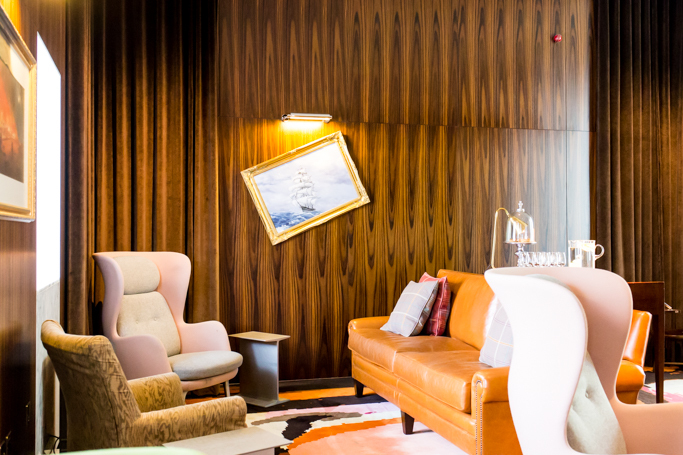 The Den is a cute little hidey-hole inside St Martins Lane hotel in Covent Garden. Clad in dark wood paneling, gold framed art work and deep leather sofas which you know are so sinkable, it's the perfect little escapism. I never really know about places to eat in Covent Garden, as I always think of tourist traps, but I'm hoping already come winter they introduce Choc-tails by the fireplace, so I'll be back. 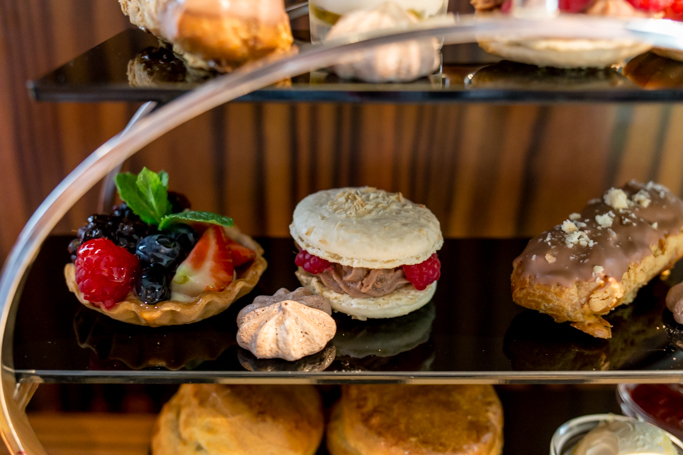 This afternoon tea is a little more of an adult affair than your traditional ones, as there is a whole gin and tonic pairing section. Couple of years ago i was introduced to Sipsmith's Sloe Gin and I've never looked back. It is so good. So whenever I see it's use on a menu, I instantly pick that creation. I went for OVER AND UNDER. Apparently Over and Under refers to the shotgun barrels where you can choose between a side by side shotgun or and over and under. I have zero knowledge of guns, but I have knowledge of Sipsmith Sloe Gin. 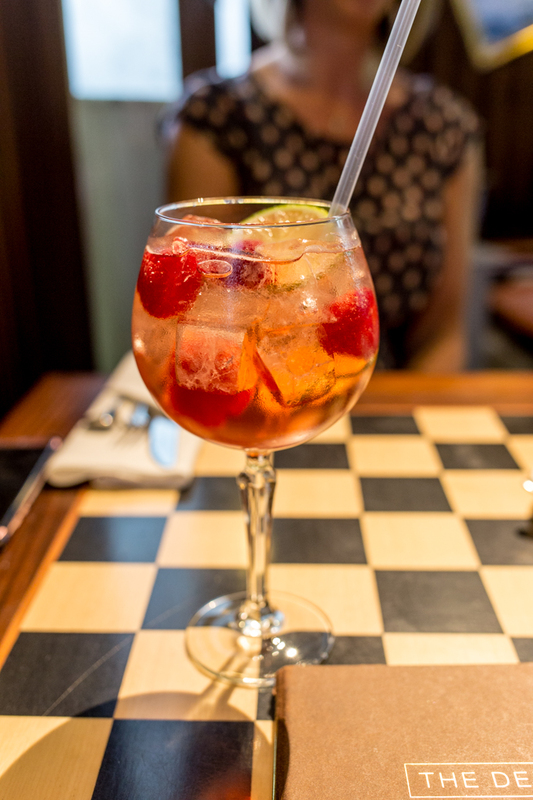 Add in a little Fever-Tree tonic, fresh lime and raspberry, and it's the perfect summers day drink. 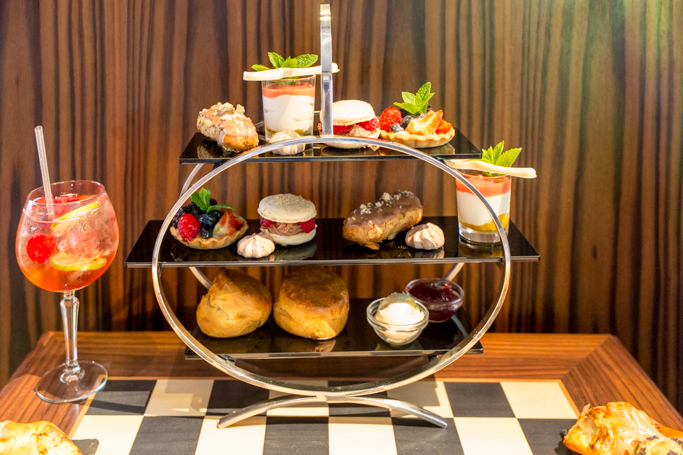 Already I'm thinking if you want gin and cake, it has to be the St Martins Lane Afternoon Tea. 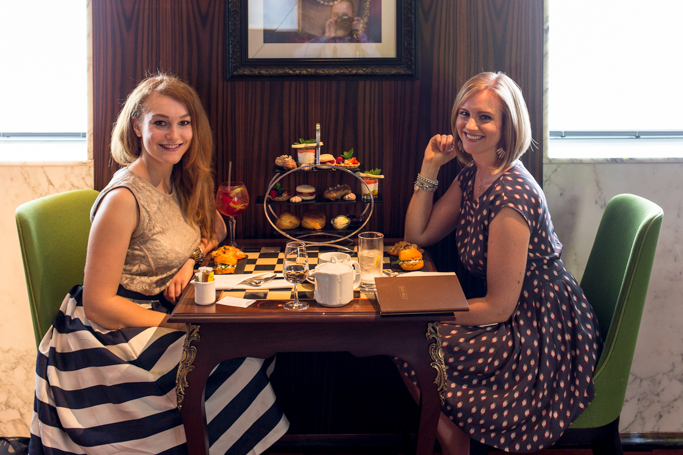 I had gone for Afternoon Tea with Caroline for a good catch up, as afternoon tea was always our thing. 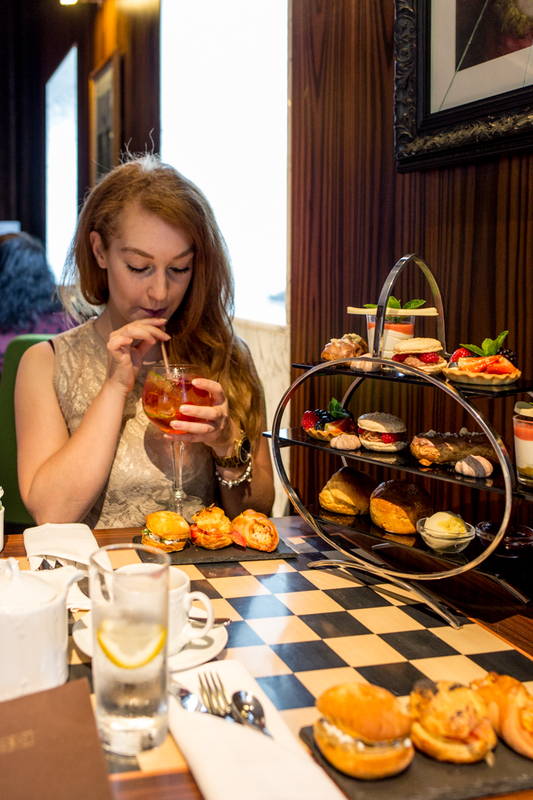 We've had some interesting and varied afternoon teas over our times together, but we've never had one in the style of this before which seems to be the fashion now. Personally I still love the traditional tiered cake stand, but then I'm a sucker for quaint features. The first layer moves away from tradition with honey roast ham and cheddar baked brioche. This was my favourite with good flavour, although a tiny bit dry. I also really liked the aubergine and feta on sundered tomato focaccia, again the flavour was really good. The only one I didn't like was the poppy seed and pumpkin chop with tomato, but that was simply the flavours aren't to my taste. My one niggle was I did think they were all a little bit dry for my taste. I do hope that was just a on the day thing. We swift moved onto the cakes section which was filled with treats galore. Eclairs, chocolate meringue, greek yogurt, mixed berry tart and with passion fruit and guava sauce with its one edible spoon. 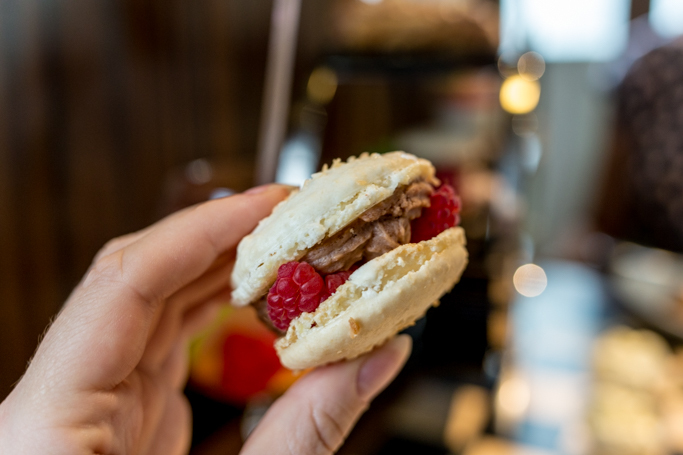 My favourite by far was the coconut macaron with chocolate ganache and raspberries. It really was so good, I may have nicked Carolines! Finally though, the pièce de résistance, the scones. 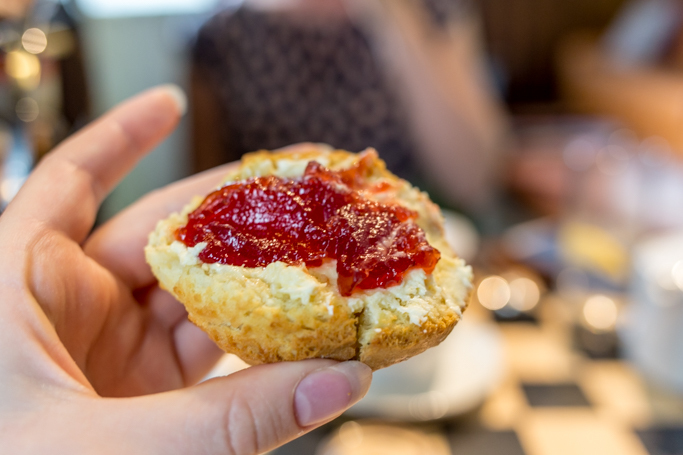 Now scones are very important to me as a Northerner, but boy did they get them right here. 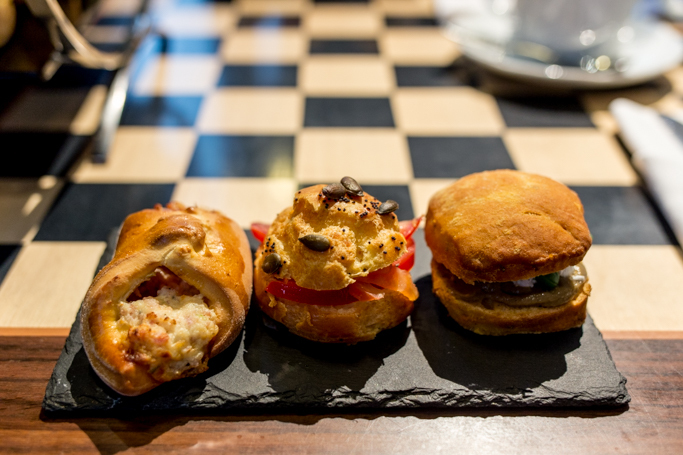 What they lack in savoury, they make up for it in scones. They were delicious. A real treat. I saw just skip over sandwiches and fill up on scones. 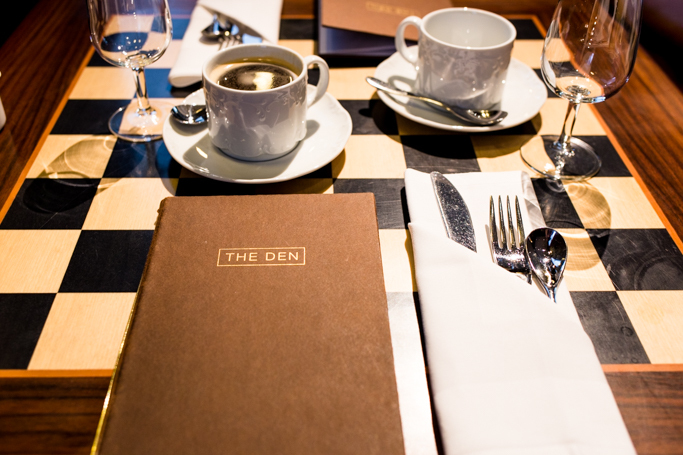 The Den is a great place to escape the mad rush of central London and unwind with a G&T and some delicious cakes, with friends. It should be high now on your list of places to eat in Covent Garden. 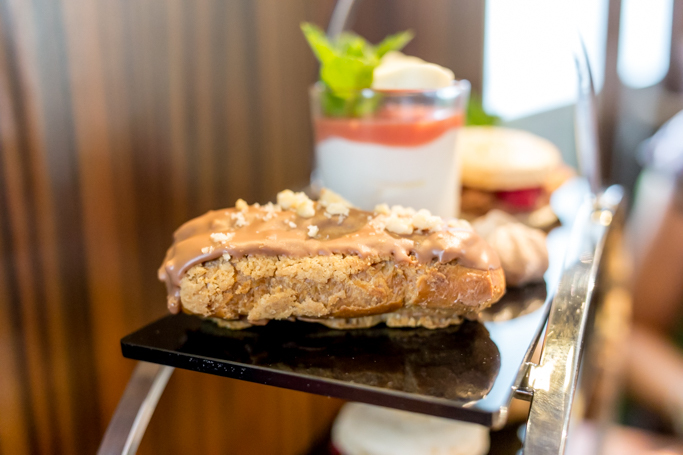 Let me know what you think below and of course, new afternoon tea recommendations welcome! 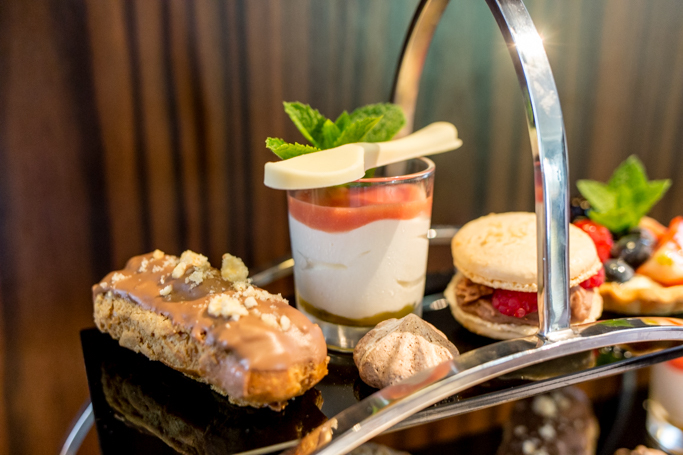 Ah another afternoon tea to add to my list it seems!